AFCAT 2017-2018 Exam Dates:- All candidates get here AFCAT 2017 Exam Dates and AFCAT 2017 Exam Syllabus 2018 related information. 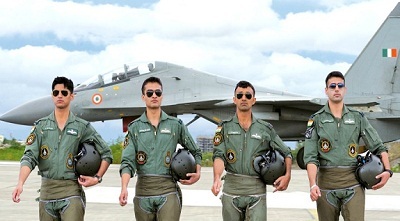 AFCAT is an air force common Admission Test which is held for Indian Air Force examination. The AFCAT examination is balanced nationally I have known as India Air force that is responsible for conducting this exam two time in the year. First the exam is done in the Feb and second exam of AFCAT is held on the month of August. Air Force common admission test recruitment is for three branches such as flying branch, technical branch and ground duty ranch. In these branches flying branch is an highest branch of IAS second highest is technical branch and last is ground duty branch. Highest flying branch is considered Fighters and transport systems and the salary of flying branches is around 82000. Technical branch consider electronic and medical type work and their salary is around 71000 . Where as Grand duty consider account administrator education extra and salary is decided by IAS organisation that is around 68000. Full details about the AFCAT Exam Syllabus 2017 and 2018 is here. IAS choose or select the aspects candidates according to their written physical Medical and interviewing performance IAS admire the candidate via their two commissions such as permanent commission and Short Service Commission. SSC Short Service Commission is responsible for preventing the job for short time periods Limited in 14 years and the permanent commission is responsible for representing the full time periods job. Every year Indian Air Force board conduct this AFCAT 1 and AFCAT 2 exam. All candidates who want to Join Indian Air Force, they need to apply for this post and fill he online application form before the last date. For more information you can check the official website of the board. Educational Qualification:- Educational qualification educational criteria for this AFCAT written examination candidates complete their higher secondary 12th class with PCM / PCB stream 2 / 3 or 4 year course with 60 percentage marks in any recognized Institute college or university. Aeronautical Society of India with minimum 60% marks. Education posts:- MBA / MCA or MA / M Sc degree in English / Physics / Mathematics / Chemistry so on. Cleared section A & B examination of Associate Membership of Institution of Engineers. Cleared Aeronautical Society of India with 60% marks. Final year student can also apply on the base of last semester marks and he/she got 60% marks. AFCAT 2017 Exam Pattern:- AFCAT 2017 paper has four sections. One-third negative marking for every incorrect answer. General Awareness:- History, Sports, Culture, Current Affairs, Geography, Environment, Politics, Civics, Defence, Basic Sciences, Art etc. Verbal Ability:- Comprehension, Synonyms, Antonyms, Error Detection and Testing of Vocabulary, Sentence Completion etc. Numerical Ability:- Decimal Fraction, Percentage, Ratio & Proportion, Simplification, Average, and Simple Interest, Profit & Loss. Read full information here and check all the details above. 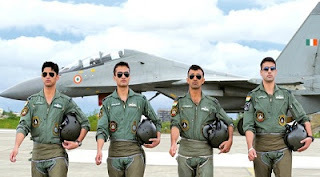 There is no any limited time period is mentioned if you have done AFCAT written exam then you can join IAF Indian Air force either Short Service Commission 9 permanent commission. Age limit for flying branch is 20 to 24, for technical branch 22 to 26 and ground duty branch 22 to 26. Check AFCAT 2017 Syllabus PDF file from the official site and note down your exam important topics from this site. If the candidate undergraduate means passing last year of graduation then they also capable for AFCAT recruitment application form. Syllabus written exam paper should be created with the help of general awareness verbal ability English reasoning numerical ability and military Aptitude Test these subjects is considered various topics like comprehension history sports Geography science defence 8 environment civil current affairs etc. For more details about the AFCAT 2017 Exam Dates and AFCAT 2017 Exam Pattern related information, you can visit the official website. In this site you will get How To Join Indian Army After 12th and all other important information for Indian Armed Forced.